Whether you're a mile high or on the runway, G5 or commercial, it's time for you to upgrade to Philip B's JetSet® Precision Control Spray. You will always feel confident, polished, perfect and playful with hair that looks like you've just stepped out of the salon and with a hold that is residue-free, sensual and touchable. 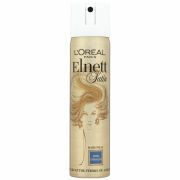 Globally adaptable, your hair will look simply dazzling with a weightless bounce. No matter what the climate, elevation, meeting or occasion - arrive looking like you're ready to take on the world! Because only First Class is good enough for you! Hold the can 10-12 inches away from hair. 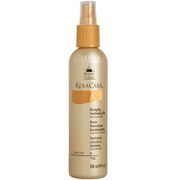 Spray applying a firm and touchable hold to hair. Alcohol Denat, Hydrofluorocarbon 152a, Ethyl Ester of PVM/MA Copolymer, Octylacrylamide/Acrylates/Butylaminoethyl Methacrylate Copolymer, Benzyl Benzoate, Fragrance/Parfum, Water/Aqua, Aminomethyl Propanol, Phytantriol, Benzophenone-4, Panthenol, Citric Acid, Citronellol, Limonene..